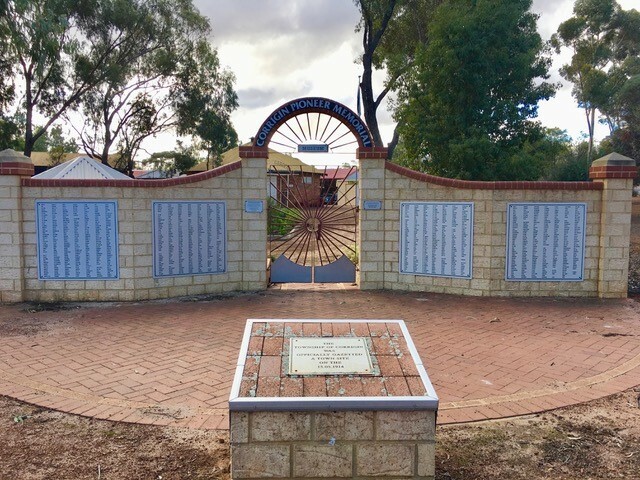 An strong thread of history connects the Eastern Wheatbelt towns from early exploration, sandalwood cutting, gold prospecting, pioneer farming, railway construction and military bases. Today there is a wealth of history to be explored through visiting these well presented collections. Step into Bruce Rock’s past. Find exhibits about district life style in the old bank building. Wander through the grounds to a blacksmith’s shop, an authentic one-teacher school and a replica mud brick cottage with pre 1940’s furnishings. Use information from the museum to explore old school sights in the shire. 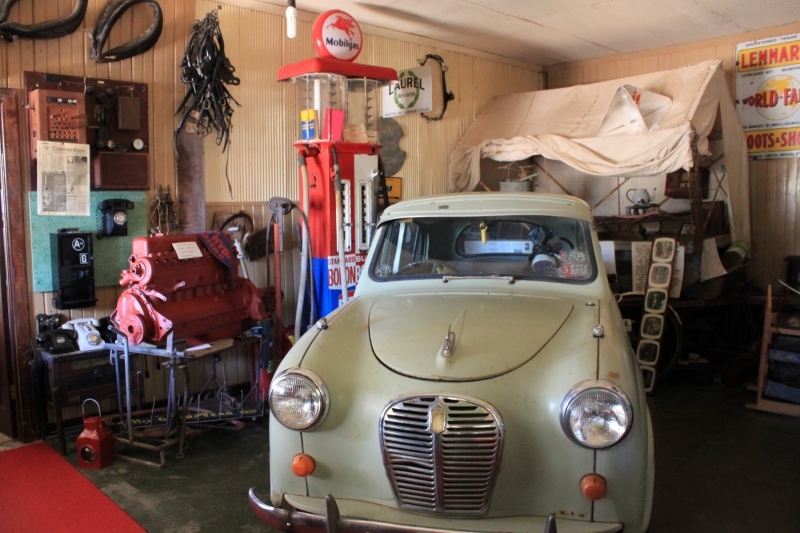 The Corrigin Pioneer Museum has extensive displays of the local history dating from from the early 1900’s to approximately 1965. 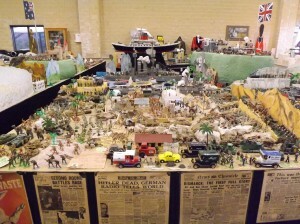 These displays include items from the following, household, shop, fashion, military, toys, and radios. There is a one room school, a blacksmiths shop, horse drawn equipment, stationary engines, farm machinery ( including tractors, many in running order ) trucks and many other items too numerous to mention. Also extensive records of Pioneering Family History. The museum building, formerly the No. 3 Pump Station on the Golden Pipeline, features the town icon – the brick chimney. The collection includes the Worthington Engine that powered the No. 7 Pump Station, a crop-dusting plane, a railway dining car, a tractor and truck display and the re-sited Quelagetting one-teacher school. Also experience the sensation of an earthquake in the Meckering Earthquake display situated in the Lifestyle Pavilion. The stories of number 16 Cottrell Street and its inhabitants are rich accounts of life in Wheatbelt WA during the first half of the 20th century offering a unique and compelling vision of family and business life at that time. The building itself is a very authentic weatherboard and iron-roofed cottage, constructed in 1915 by Eugene O’Shaughnessy the local Saddler and Harness Maker. Complete with many of its original features the cottage was purchased for the Museum Committee by the Dowerin & Goomalling Apex Club and is now vested within the Shire of Dowerin. 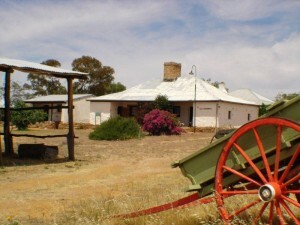 The picturesque stone and mud brick dwellings known as ‘Slater Homestead’ can be found 3 kilometres north-east of Goomalling on the Goomalling-Wyalkatchem Road and is a must see location for travellers and visitors to the region. Located a leisurely one and three quarter hour drive from Perth’s CBD makes it the perfect journey’s end to your country sojourn. This Exhibition includes a general store, chemist shop, bedroom and bar room with an extensive collection of furniture, household objects, farm machinery, domestic and commercial equipment and clothing. Wreckage from a 1944 bomber crash in Narembeen is also displayed. The toy solider collection was previously owned by Alex Smith who amassed the 10,000 toy soldiers over 60 years in displays depicting battles fought over hundreds of years. Also on display is a ball dress which was worn to the ball the night before the Battle of Waterloo. There is also a section devoted to the Rabbit Proof Fence, showing its history in photographs and also telling the story of Norm Froome, who worked on the fence construction. 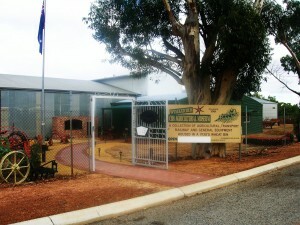 The wildlife park houses a wide range of Australian animals and exotic birds in a natural bush environment. 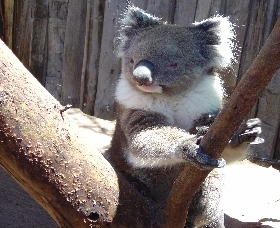 See white kangaroos, golden possums, hairy nosed wombats and get up and personal with the friendly Koalas. Family friendly with a children’s play area near the Koala enclosure. A collection of pioneer farming tools and equipment. A working display of gramophones and 78 records is also a feature. A Folk Museum featuring local memorabilia is located in the old Agricultural Hall (built 1897). Farming implements and machinery displayed around Pioneer Park provide an interesting backdrop for the local Folk Museum. Any person wishing to visit the Folk Museum may obtain a key from the Shire Office. Housed in the former Holden dealership is a small collection of vintage holden vehicles. The original dealership was established in Kellerberrin back in 1937 by Walter Dowding. Today the dealership is a private workshop run by Richard and John Marek. 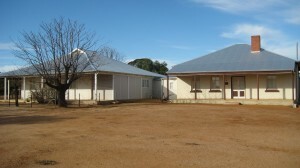 Originally the Koorda Hospital, the museum houses a large array of medical instruments and hospital equipment, including some locally used and hand-made medical instruments belonging to Dr Chester. Early settler personal effects and equipment, photographs and machinery are also on display. 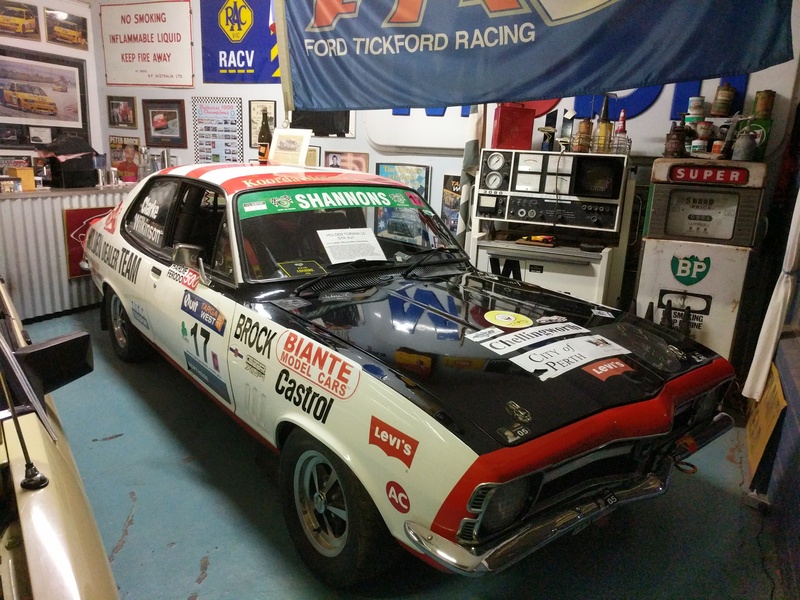 The Motor and Military Museum has an extensive private collection of motor, garage and military memorabilia from original classic and muscle cars, models and military displays from the Boer War to Afghanistan. You can browse through the array of historic artefacts or sit down for a cuppa and enjoy being immersed in the history that surrounds you. Built in the 1920’s and originally operating as Butler’s Garage, it has been restored to house the town’s museum. This is the only remaining inland mission hospital building in WA. The facility was established in 1926 through the work of Dr John Flynn and the local community. The museum contains medical artefacts used in the early days before the new hospital was built in 1952. The only museum of photography in Western Australia. Displays of cameras, projectors, enlargers, processing gear, magic lanterns & slides, zoetropes, Phantascopes, movie cameras, flash units and light meters. More than 1500 cameras on display. The museum is run by volunteers so times may change due to unforseen circumstances. 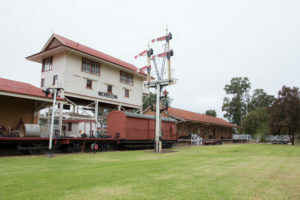 The museum and arts centre displays the 1897 locomotive that hauled the Kalgoorlie Express, along with the old signal box with its array of 95 switching and signal levers. 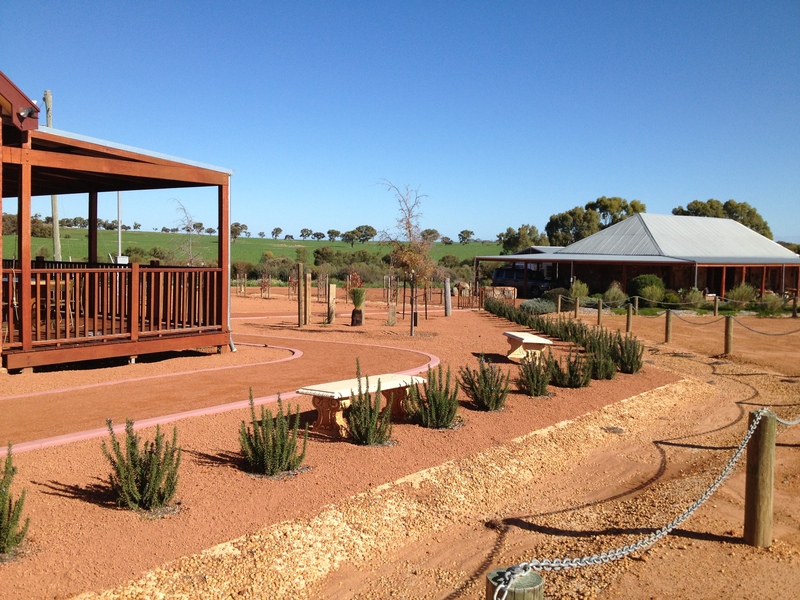 You can also see the early history of the Merredin area including the Pioneer Women’s Room and Memorial Rose Garden. A fine collection of memorabilia, uniforms, vehicles and equipment relating to most conflicts from World War 1 onwards. Some vehicles have been restored to working order. A prized exhibit is “huey” a former RAAF and Army Aviation Iroquois UH-1H helicopter. The only other Iroquois on public display in WA is at Perth’s Bull Creek Aviation Heritage Museum. Located in the Old Road Board building, near the Town Hall on Latham Road, this museum contains a visual history of the district and includes photographs of early pioneer farming practices. Family Files are also kept here, it has proven to be a great source of information about our locals. Located on Savage Street, this museum contains an interesting mix of photos and antiques from our pioneers. browse through the outdoor machinery museum displaying old farm machinery and farming implements. A modern interpretive centre featuring farming from the early pioneer days through to the present and future. 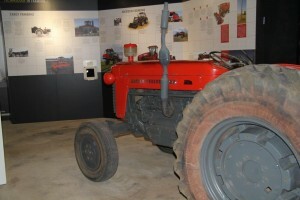 It features interactive displays, exhibitions, ipad videos and audios on the agriculture industry. Located on Longhurst Street, St Paul’s Church museum was consecrated in 1929 and opened as a museum for the Historical Society in 1969. After restoration in 1999 it re-opened as a Church Museum. It is a memorial to the pioneer women if the Narembeen district. 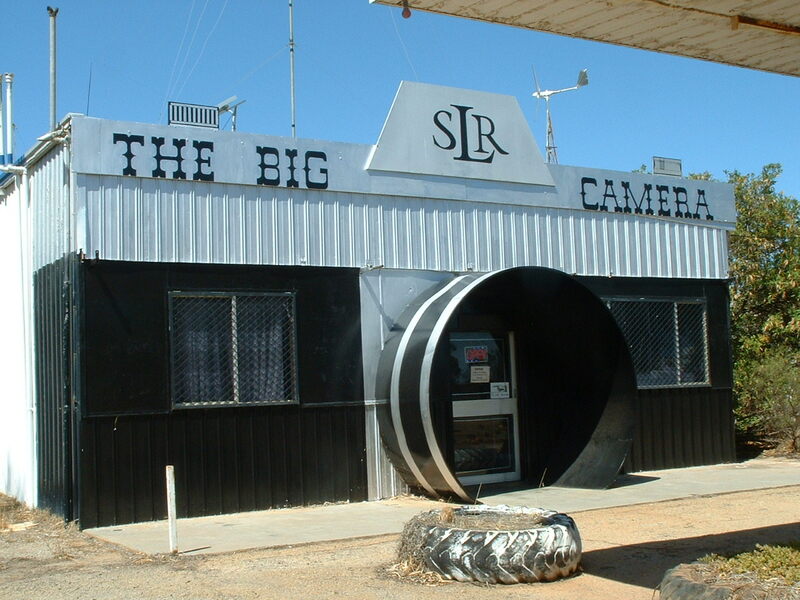 For tours, contact the Narembeen CRC +61 8 9064 7055. Located approximately 70km east of Narembeen, the fence stretches from Port Hedland to Ravensthorpe, spanning a distance of 1,827km. It was originally erected between 1901 and 1907 to prevent invading rabbits and other vermin entering the grain growing region. Much of the fence has undergone maintenance and some of the original fence remains today. An interesting place to visit. 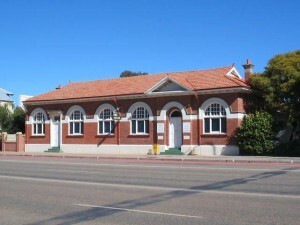 The Hainsworth Building houses the Newdegate Pioneer Museum. The building was commissioned by Charles Hainsworth, its first owner and was built by Ted Freeland, originally a ships carpenter, during 1933/34 as a general store and tearoom. The building operated as a general store from 1934 until 1972 and had several owners during that period. The museum is a great example of early settler life in the area. The Museum is housed in a massive ex-army workshop that played a vital role in the defence of Australia during WWII. There is an impressive 10th Light Horse display, armoured vehicles and military equipment as well as a huge range of agricultural equipment that reflects the lives of our Wheatbelt pioneers. 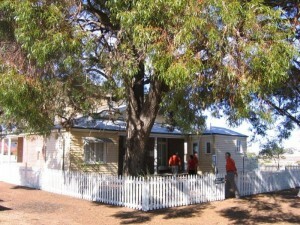 Once an important wayside stop for the travellers to the Goldfields this settler homestead is one of the best preserved complexes of early farm homesteads (c.1876) in the Central Wheatbelt . An interpretive walk trail takes you from the homestead to a complex of wayside inn, cellars, wells and the site of an old barn and family grave. A RV Friendly destination, caravans and camping welcome. The Hood-Penn Museum features a variety of scenes showcasing early life in the shire including a pub scene, a shop/hardware store scene, a petrol station/garage scene, a kitchen scene, a bedroom scene and a blacksmith/farm workshop scene. A vibrating mine tunnel is also included within the museum that gives visitors an idea of what life in an early Westonian gold mine would have been like. The museum also incorporates a display area and visitors are free to wander to their hearts content. 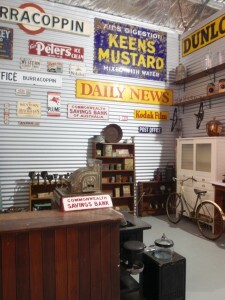 The museum is housed in one of the few 1936 type wheatbins that have been preserved. The museum was opened in 1981 with a collection of agricultural, transport and railway exhibits. 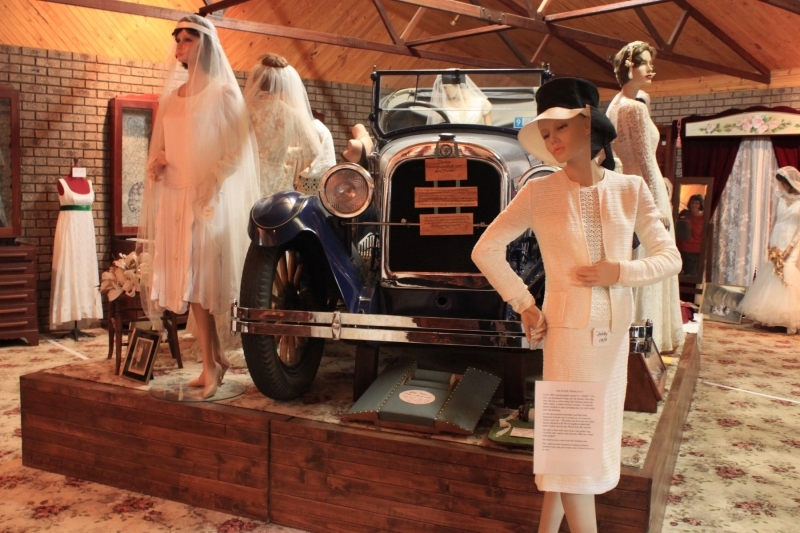 There are over 400 items in the collection, some housed in the wheat bin and others in a purpose built building consisting of two general purpose sheds and a reception entrance display area incorporating a visitor’s centre. This area has also been designed and built in the style of a 1930s weigh bridge to keep within the theme of the museum. Many items in the collection have been restored and are in working order. 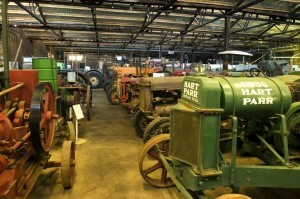 Rare tractors such as a Marshal MP 6 and an American Waterloo Boy are on display along with many other tractors, farming implements and vehicles dating back to the 1920s. There is also a collection of historical memorabilia from the area. Set up as a house of earlier times with articles in room settings. The house contains an old switchboard from telephone exchange and various old printing machines along with beautiful old dresses and kids clothing, kitchen utensils and furniture. Developed in 2002 the museum is an informative collection of local history through photos, plaques and vintage farm machinery.